Used to treat Tracheoesphageal Fistulas and expansion treatment of the Esophageal Stenosis caused by Esophageal Carcinoma, Chemical Injuries, Cardiac Carcinoma, Anastomatic stenosis, and other Traumas, which are surgical contraindicated. 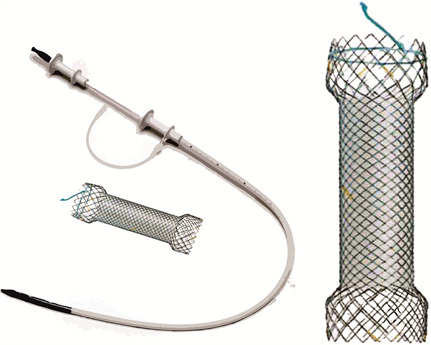 Esophageal Stents with Introducer system. Expanded Stent diameter. - 18mm. Stent wire diameter. - 0.20mm. Expanded Stent length - 50mm / 100mm / 120mm / 150mm covered stent.